Ductless mini-split systems are primarily air conditioning systems that provide cooling to a single zone (room) or more. Because it's cheaper energy wise to cool only the rooms you use most, these systems have become very popular, as efficient alternatives to central air. Most incorporate the use of a condenser unit that is placed outside the home, with refrigerant and electrical lines that go through the exterior wall to connect to one or more compact, wall-mounted cooling units (zones) inside the home. Some of these less intrusive systems also have heating features, inverters, as well as dehumidifiers. Unlike portable or window air conditioners, ductless mini-split systems are considered permanent fixtures, requiring professional installation and a larger investment. That means you would not be taking it with you when you move. They are however, less intrusive than central air, which uses the home's existing ducting infrastructure and are much more expensive to put in and operate. Ductless mini-split air conditioners are often much more efficient because they cool only the rooms where you locate and need them, so there is not the energy waste, compared to central air which cools the whole home, including several unused areas. If your home does not have any ducting and installing it with central air is not feasible for whatever reason, a mini split ductless system is the next best alternative. Adding one with a heating function can complete your home's main cooling and heating, making it more comfortable regardless year round. These air conditioning systems usually have one, two or more zones (room units) and in some cases, you can start small with one or two rooms and grow your cooling (and heating) network over time. 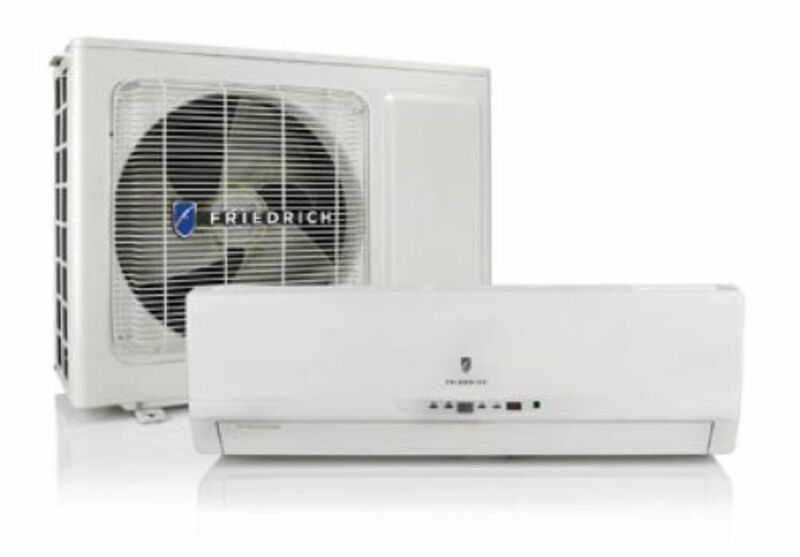 There are several brands that offer the ductless mini split systems and reading consumer reviews is strongly advised to ensure you will be satisfied with your new unit and installation. Best features to look for are independent zone controls, sufficient line length for installation, energy ratings and Energy Star qualification, expandable options, ETL-approved for your country, adequate BTU's for each room size and a quiet operation. Consult your local renovation centre or cooling specialist to ensure it's a good fit for your particular home and needs, and be prepared to pay for professional installation. These systems though more affordable than central air, can still be a sizable investment especially if it involves several room units, so don't hesitate to ask questions, be informed and get an estimate before proceeding. It may not be an easy project for the DIY handyman; expect some professional costs. This type of cooling and heating system is often seen in restaurants and installed as part of retrofit projects in older buildings, because of the easier install and overall energy saving benefits.